Everyone wants to be successful until they see what it actually takes. And you have to work really hard to become a successful freelance translator. Actually, freelancing is not just a way of life, it is the way you conduct your personal business where you perform multiple roles – translator, project manager, marketer, IT specialist, webmaster, accountant, etc., (at least at the early stages). 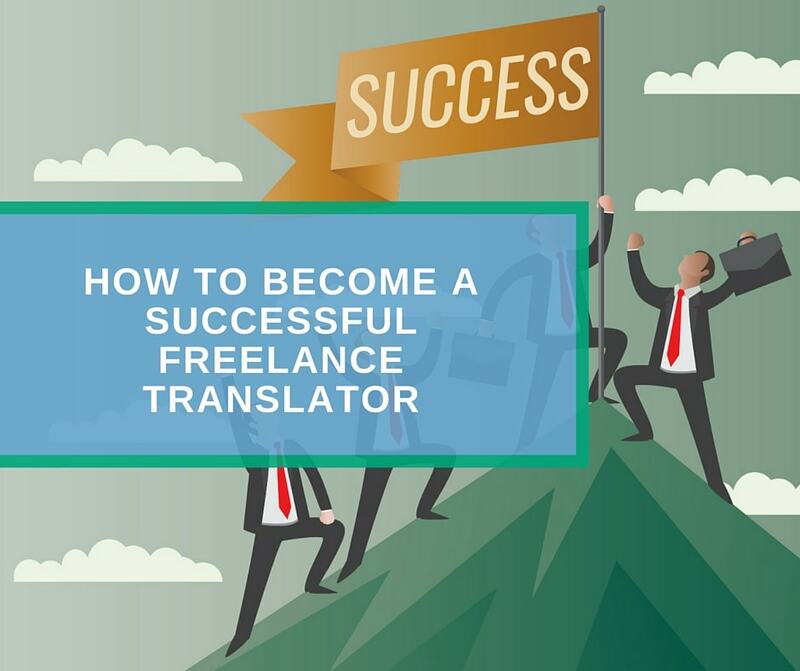 Over the years, I understood several main principles of how to become a successful freelance translator, though for me success is not a final destination, but an ongoing trip. Therefore, there is always a room for development. In this motivation post, I would like to share my thoughts on what makes a successful freelance translator. It may sound trivial, but many people just don’t want to accept their own mistakes. It is not easy to accept that you are wrong. But when you stop rejecting errors and treating each mistake like a great failure, you start analyzing them. You learn what was done wrong and what should be avoided further. Of course, you may learn from the mistakes of others, but each situation is unique, so it is impossible to be ready for everything. I learned much from my own mistakes in the context of freelance translation. For instance, I started freelancing at extremely low rates ($0.035 per word). I thought it was a good idea to get my first clients. But in a long-term perspective, it turned out to be a terrible idea. I should have learned more about freelance rates before starting. I calculated this rate based on my fixed salary in a company. But I should have conducted a market survey to find out mean rates to start with. In addition, when you start freelancing, you have to take into account that workflow will be unstable, thus, you have to earn more per hour of work than you did in the company. Clients’ feedback is another thing to consider if you want to become a successful freelance translator. Always ask for feedback from the clients. All people are not the same. If you did something wrong, some client will point that out, while the other will just stop working with you without a single word. Therefore, it is very important to ask for feedback. If you did everything right, you would receive a feedback that can be used in a testimonials section of your website. If you did something wrong, you should try to correct your mistakes that may help you to retain your client. I learn something new every day. I subscribed for several blogs about internet marketing, translation, and web development. I try to spend at least one hour daily for reading of various educational articles. I think that translator shall have a broad outlook as you can never say what type of translation may come next. Of course, I specialize in several fields of expertise, but who said I cannot translate in other fields too? Reading more is a good way to learn new things that can be helpful in your future translation projects. I’m sure all of you have many good skills required for a translator. However, it is never too late to master new skills. A unique skill set is what makes you differ from other translators. For instance, you may start learning web development and/or localization. You may also learn how to create terminology database and glossaries, or how to work with InDesign or Photoshop to offer DTP services in addition to translation. Quality is never an accident; it is always the result of intelligent effort. Maintaining sustainable quality of translation work day after day is not easy, but it is a MUST DO thing if you want to become a successful freelance translator. Continuous quality of translation work is extremely important. You may deliver good quality all the time, but a single case of bad quality transition may ruin your reputation. You’d better double-check translation before submitting it even if you are tired or feel sick of a particular translation task. If you hesitate about target text quality after you proofread it, think about working with a proofreader and make relevant changes to your work process and rates. Taking part in industry events is a good way to meet new people, learn more about the current state of affairs in the translation market or even make a name! I know that it can be hard to take part in international events if you leave in a remote location, but you can always join online events and webinars which are a common thing nowadays. Speaking about how to become a successful freelance translator I cannot but mention professional organizations. Being a member of a professional organization will add credibility to your profile. In addition, you will have certain privileges and benefits from this kind of membership. For instance, you may apply for ATA or IAPTI certification. You may learn more about their benefits here and here respectively. Never forget that you are not just a translator, but an entrepreneur. Freelancing does not mean lying on a chaise longue under a palm tree with a laptop. This is a real business and you should treat it respectively. You have to make plans and follow them, you have to keep accounts and pay taxes, you have to attract new client and build strong relations with them. Finally, you have to analyze the results of your business activity and make proper adjustments. Start treating your freelance career more seriously and you will soon find out that your business is on the rise. I know how hard it is to start freelancing. It is easier to give up and get back to office work. But once started, you shall never lose heart as nothing can be achieved without hard work. You should always believe in yourself even in the most complicated situations. Remember that when you overcome initial hardships you will become a truly free, self-confident person with a unique vision of your personal translation business. Don’t Stop at the Top! When you finally achieved a certain goal, don’t stop at this point. Set new goals and always remember: while you retire on your laurels other translators are still developing. It is hard to provide a short and universal answer to the question: How to Become a Successful Freelance Translator. Each person has a unique vision of freelancing, own strengths and weaknesses, but to my mind, the above pieces of advice are applicable to almost all translators. Flowing them will definitely help you to become a better translator.